I’m on holiday this week in Dorset and when packing I made a slight error – I threw in only one pair of shoes. I’m renowned for bad packing choices and so it was not a massive surprise to my husband when the rest of the family donned their wellies and I realised I only had my trusty converse to wear. It could have been worse. Converse are the kind of footwear which take you through practically any situation you find ourself in. 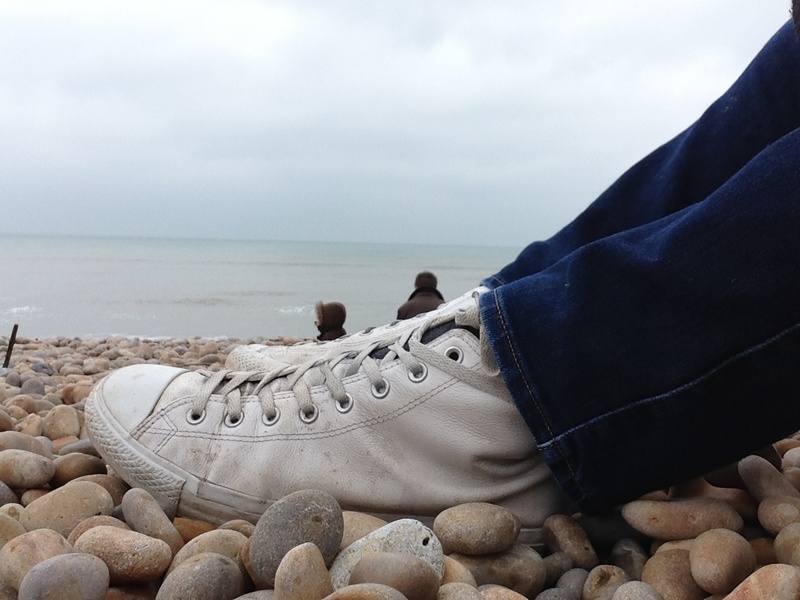 My leather Chuck Taylor high tops are the ultimate in versatile – walking on beaches, taking a cliff top path, strolling into pubs, stumbling back out of pubs. They can deal with literally any eventuality and they soak up baby puke without showing the stain. I suppose they were showing their true colours as keepers by the fact that they went into production in 1908 and by 1910 were producing over 4000 shoes daily. Chuck Taylor added his signature to the classic high tops in 1932 while he was an ambassador for the company but their place as a favourite brand was secured in 2003 when Nike bought the company for a cool $305 million. Back in the day I remember thinking that I would never wear Converse (when I shared a house with a friend who always wore red Chuck T’s & it just wasn’t cool, sorry J, forgive me) and I assumed I would always want to wear Air Max or shell toes. Trainers have always had that ability to divide and conquer, to describe a persons style without any other preamble, pretty much more than any other footwear. Converse deserve their place as a favourite shoe brand because they have evolved according to the needs of their customers. They started out as rubber footwear manufacturers, developed into the ultimate sportswear shoe and are now considered the standard leisure wear – they are even seen occasionally on the red carpet. I cannot see a time in my life when I will not need Converse in my wardrobe because although I love shoes of all types, I think I love my Converse most of all.